As part of our respiratory services, Southcoast Health offers Bronchial thermoplasty in southeastern Massachusetts. If you have questions about your upcoming procedure, talk to your doctor about what to expect. 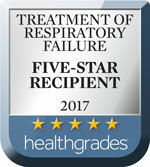 If you’re having trouble breathing, come to Southcoast Health for dependable breathing treatments in New Bedford. Our team of expert respiratory therapists and nurses can help determine the best nebulizer therapy for your condition, then teach you how you can implement your treatment at home. Find a doctor near you today for respiratory services that can improve your health and quality of life. Bronchial thermoplasty is a treatment for severe persistent asthma that may be appropriate for adults ages 18 and over who are regularly taking standard maintenance medications but still continue to experience asthma symptoms. Bronchial thermoplasty is a non-drug procedure approved by the FDA for the treatment of severe persistent asthma in adults whose asthma is not well controlled with inhaled corticosteroids and long-acting beta-agonists. The bronchoscopy-based procedure uses a small catheter to deliver controlled energy to the airways of the lung to reduce the amount of excessive airway smooth muscle. This decreases the muscle’s ability to constrict the airways, resulting in fewer asthma attacks. Treatment has been shown to improve asthma-related quality of life and asthma control – including decreased asthma exacerbations, reduced emergency room visits and hospitalization for respiratory symptoms, and fewer days lost from work or school. Bronchial thermoplasty (BT) therapy requires three sessions. Each procedure is performed three weeks apart by a specially trained pulmonologist. Each treatment takes about an hour, during which patients receive light sedation. BT is a safe, outpatient procedure that uses Radio Frequency energy to provide long-lasting relief from asthma symptoms. Asthma attacks are caused by swelling in airway muscles, narrowing the pathways into the lungs. BT uses Radio Frequency energy to reduce excess smooth muscle from airways, widening passages and reducing the risk of an attack. 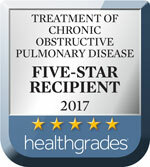 Southcoast Health offers Bronchial Thermoplasty in New Bedford at St. Luke’s Hospital.